You are really getting better with drawing and also... i really love the information about your character. Brother Z: Your asking questions at the end of the month, right? Yes, in the other week the drawing of the questions answered will already be. Friends: John, Marx, Molly, Miros, Danna, Hugo, Martin, Guadalupe, Marcos, Marla, Terry, Oriana, Ben, Melany, Zephyr, Josue, Merry, Patricia. Michelle is being an intelligent, curious and susceptible person. Someone who knows what she wants and struggles to get it. In friendly relations she is usually generous and very friendly with her friends, she does not get involved in disputes and she is quite peaceful. Michelle is intelligent, observant and very good planner, she has to know what to do in each moment, she is an organized person who does not like to waste time and so she has to have her plans and pending tasks organized. Likes: Extreme sports, singing, dancing, playing video games and skating. Dislikes: all with reference to the princesses and the color pink. 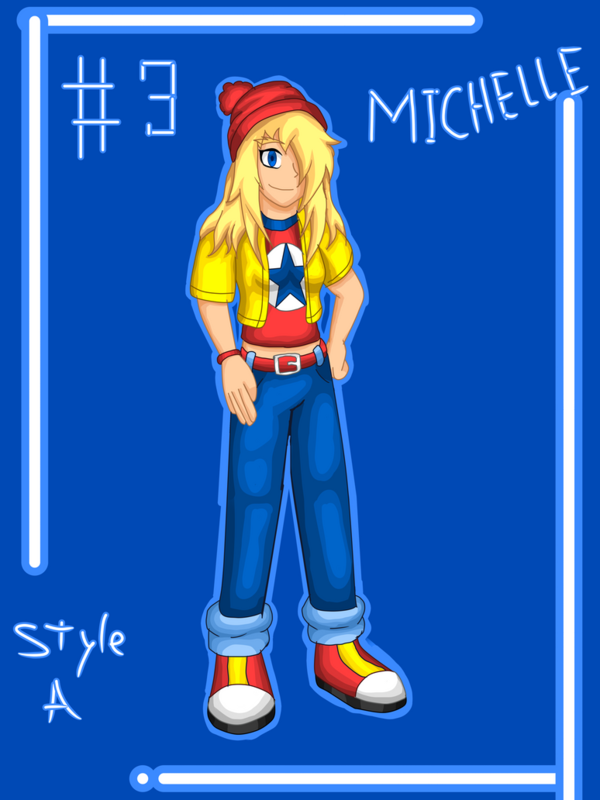 Likes (Favorite Food):Pepper pizza, red fruit smoothies, tomato. Wow those drawings are awesome! She is a happy, intelligent and happy person. Usually she is very astute and organized with her tasks and her free time. 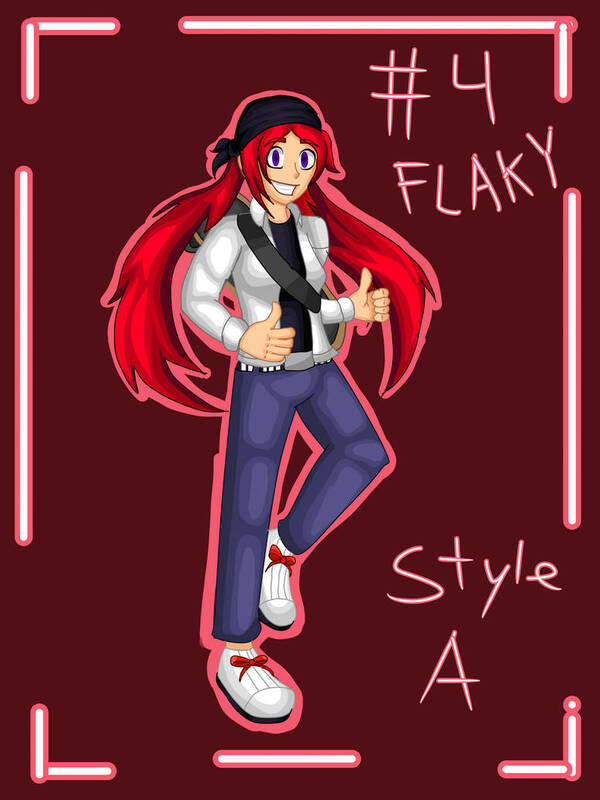 Flaky when she was 4 years old her father died in a car accident on continent 3. After a few months, her mother took them to one of the continents called continent 5 "New America", she precuded herself in an instant when her mother Elia and her exploration team went to an abandoned industry in which she caused a persecution between the team of his mother against mercenaries and bioterrorists. They managed to escape but Flaky noticed in the arms of his mother that she rescued a captured child and was being used by the mercenaries as a "guinea pig"
His mother adopted the child and the child's name is Foxy. Over the years her mother, and they took care of him as part of the family and Flaky (when she was 10 years old, Foxy is a year older than her) showed him how interesting it is to live in a place where peace lives (they live in the countryside) giving Foxy the confidence and have a better life. Flaky, what do you like to watch? Brother Z: I can't wait to receive answers from you, Shinblade! with the data of my character. Tomorrow Q&A #1 "Food, my nickname and movie"